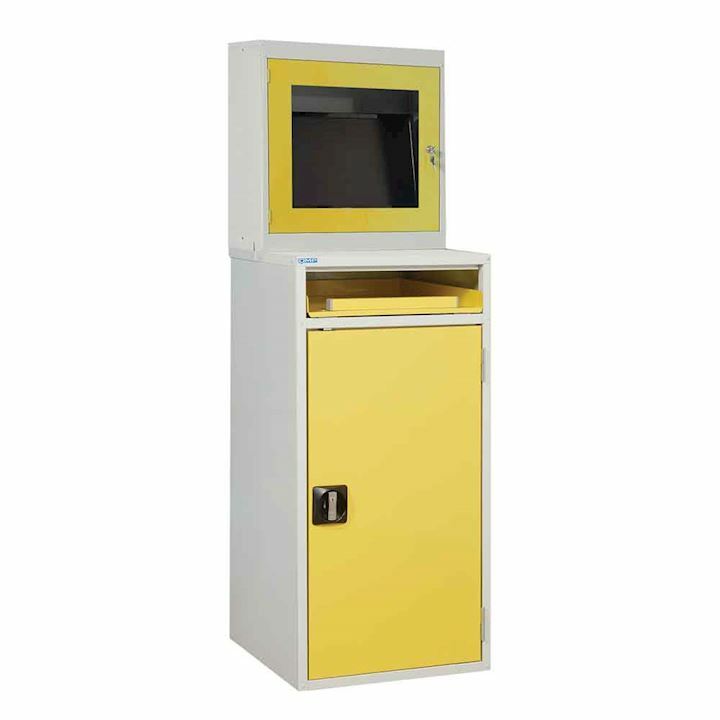 Industrial workstations for use in factories and workshops, offer the perfect solution for writing and also locking away tools and equipment. 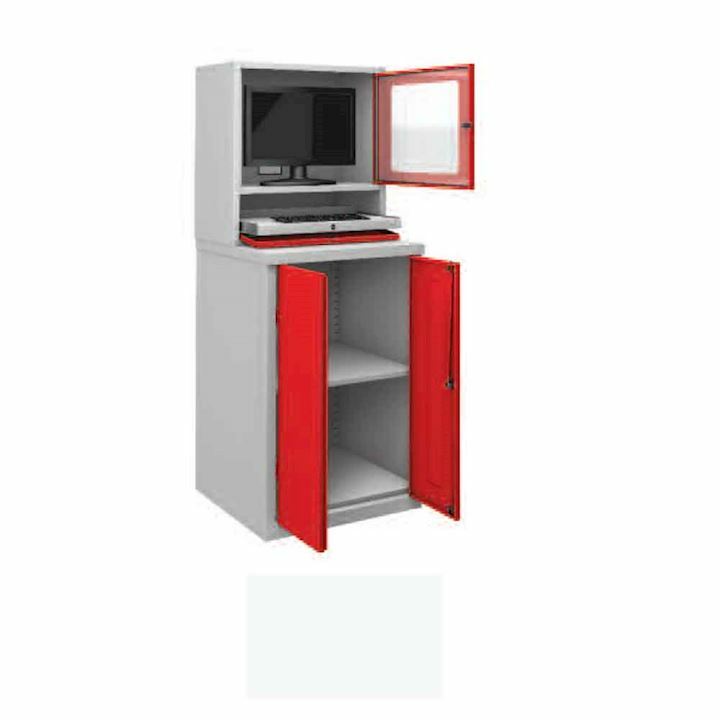 Available with flat tops or sloping tops with lectern style desk for writing and organising. 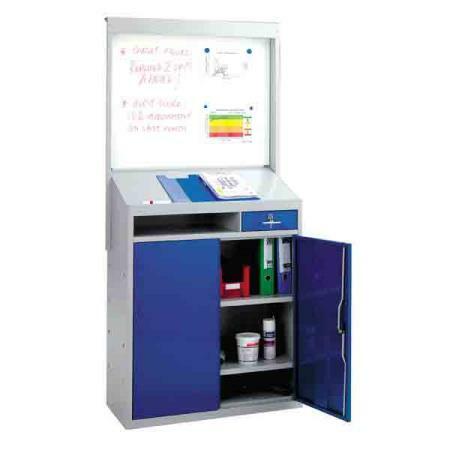 Our range of workstations includes: tool workstations, quality workstations and PPE desks. 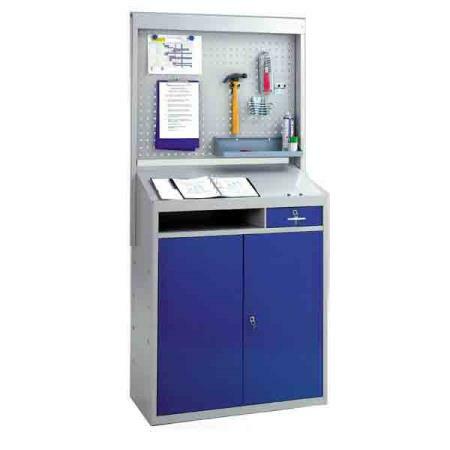 Employees can stand to use our tool workstations because this unit is 2000mm high. A peg board provides a place to keep hammers or screwdrivers so they are easily at hand. A practical writing desk for clipboards and paperwork comes along with double lockable doors and pull out drawers. 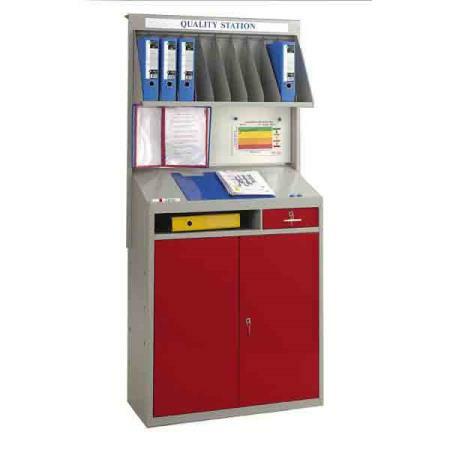 Allow your supervisors to be more efficient with our handy quality workstations. This industrial workplace desk has a sloping writing surface ideal for planning. A file holder to hold up to 10 lever arch files and also a drywipe/magnetic noticeboard for displaying reminders. 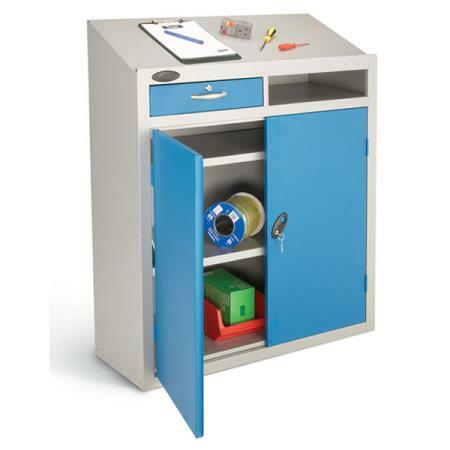 Most importantly, keep valuables or tools locked away safely overnight in this lockable workstation. Use in factories, workshops and also staff meeting areas. 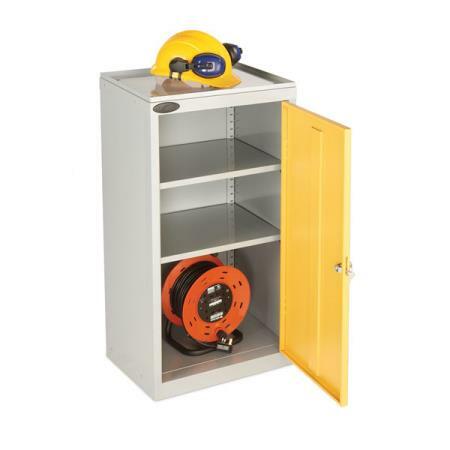 Useful PPE cabinet for storing personal protective equipment at work. Features a compact design to fit into factory workplaces where space is tight. 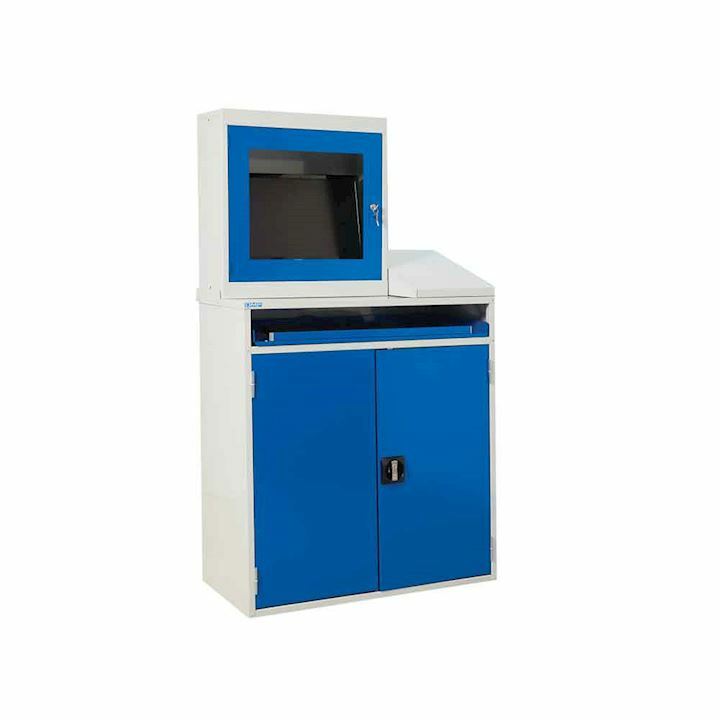 Industrial PPE workstations are available in blue RAL 5019 with clear PPE labels. 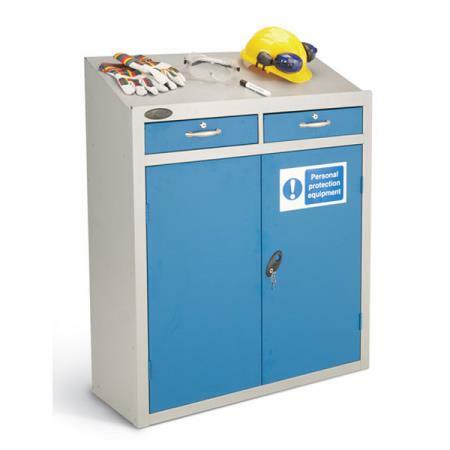 Keep hard hats, ear plugs or even eye protection in this lockable workstation. 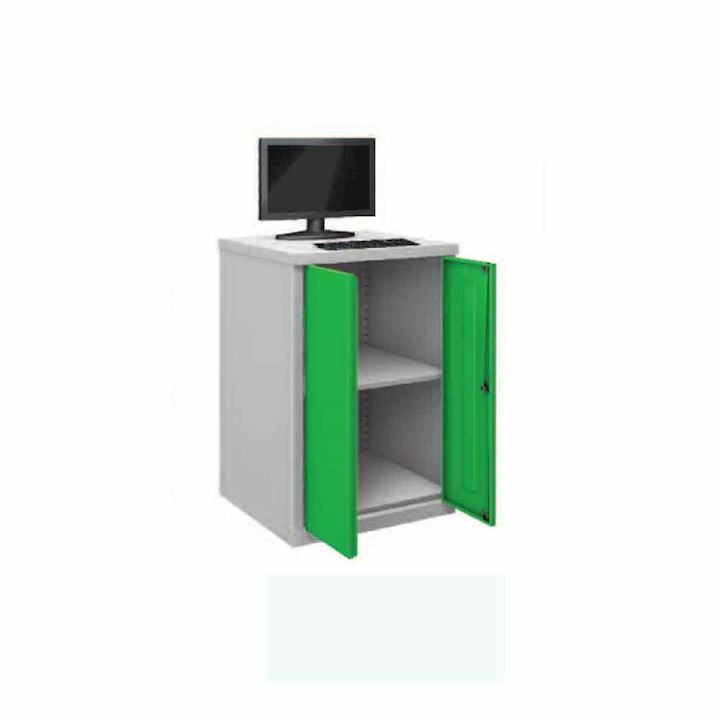 Personalise your workstation for industrial use by choosing a door colour, adding extra drawer units or shelves or leaving with an open front. For further information on workstations please contact our friendly sales team on 01924 240291.